Special shows and events may have different ticket prices. Not all productions are suitable for young audiences. M. T. Pockets Theatre is a small, intimate theatre with comfortable seating for 37 patrons. For more information please contact the Box Office directly. All ticket sales are final. No refunds. We offer ticket exchanges. Online ticket orders require a credit card to complete. Anyone who is 30 or under can purchase tickets starting at $10 (plus fees) for any performance, subject to availability. Anyone using a 30 & Under ticket must meet the age requirement and present a valid ID when tickets are picked up at Will Call. Full-time college and graduate school students with a valid school ID can also take advantage of the 30 & Under offer. Maximum of 2 tickets can be purchased. Note: Valid ID will be required to retrieve tickets at Will Call. Six-Pack Flex Passes are good for any performance, any day of the week in any combination you like. We do not have printed tickets. Online purchases and reservations receive vouchers that are used to claim seats/reservations. Vouchers can be printed at home or displayed on a cell phone. M. T. Pockets offers wheelchair accessible seating for each performance. If you or someone in your party requires this, please call or email for arrangements and availability. For the respect, comfort and safety of the actors and patrons, the use of cameras and recording devices is not permitted. Please ensure that all noise-making electronics (phones, pagers, PDAs, handheld games, etc.) are turned off before the show starts. if you arrive after the show has started, you will be seated at the House Manager’s discretion where possible until intermission. 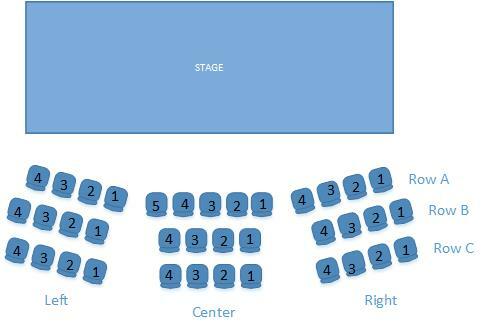 At that time we will be happy to show you your assigned seats. If you have not claimed your seats 15 minutes after the show has begun, Management reserves the right to release your seats. A variety of beverages and snacks are available before performances and at intermission. M. T. Pockets has parking in a gravel lot accessible from Fourtney Street at the bottom of the hill. This parking is free for patrons. There are a limited number of spots at the top of the hill directly in front of the building, but we request that you reserve these as handicap spots. be cancelled in the event of extreme weather conditions or a complete power outage.